Depending on your goals, Gellert can design the system you need. Each design considers your application needs and manages the distribution and control of refrigeration, ventilation, humidification, and CO2 if needed. Each system is customized to contain either Gellert Proprietary Equipment and/or Best in Class Manufactures brought together to complete the build. Our customers were facing the threat of losing their insurance for their hay operation. They also needed a solution to control particulates in the air without a dust collection system. Gellert put the design, controls, and air distribution system in place to accomplish the job. These are ideal for Food Processing customers who need a segmented climate for Canning, Packaging, or specific food handling needs. 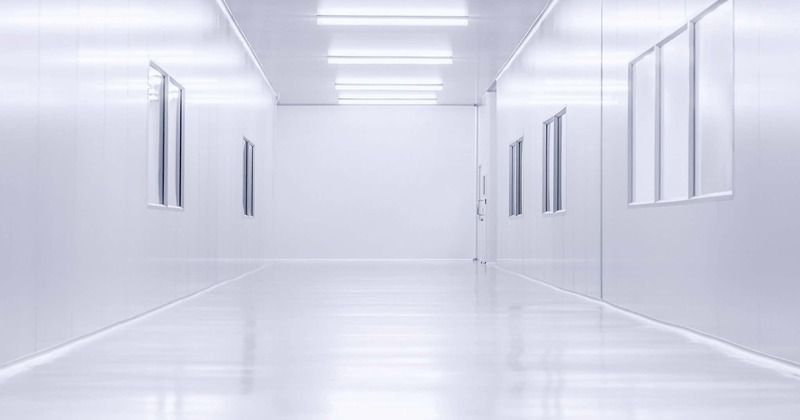 Gellert CleanSpaces include modular wash-down white walls and ceilings, climate control, and can include high or regular speed doors and windows. The room is fully controlled and includes the distribution and equipment for an easily implemented solution. Our GrowSpace customers are looking for a segmented climate to provide the ideal growing environment for propagation or germination activities. GrowSpaces are also great for creating a secure growing environment. GrowSpaces include a fully wash-down modular space. Click here for more details. 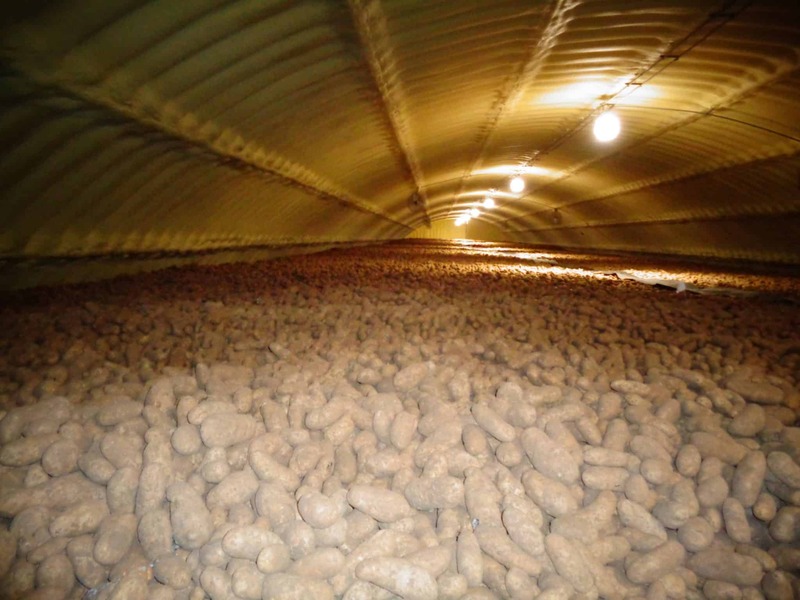 Our most popular system, the Gellert Bulk System starts with holding time goals and quantities. From there – we design a system that accomplishes those goals. Gellert’s Bulk System can include Air Floors or Plenums with Fan Houses and always include AMCA Certified Ventilation so you know you’re getting the right air in the right place. We innovated Post Harvest and have been doing this since 1964. We have the University-based Research and application history and data necessary to get you the right climate design for your commodity. No matter the design, this Gellert System is second to none. New for 2018, Gellert provides a dual solution system for Commercial and Sideliner Beekeepers. We design with Bee tested CO2 and temperature control in mind. Each system includes 24/7 – 365 Control, peace of mind, less feeding, and drastic reductions in Bee Mortality rates – not to mention the ability to bring Bees in earlier in the season. Individually quick freezing your product may take simple freezing technology or include a process approach from Field to your Packaging process. Gellert provides its own proprietary solution for freezing along with best in class manufactures. Looking for service and install. Gellert can provide on-site support through one of our many Dealers. Product shrink not only costs money, but it can make for an inferior finished product for Food Processors and Manufactures. In these situations, chances are Gellert can help you rehydrate your product. Depending on your level of needs, Gellert can scale a Proof of Concept to answer questions affordably before implementing an entire System solution. The Gellert LabSpace handles many of your laboratory needs and starts with a climate control modular LabSpace. Gellert will work with you to design and can offer best in class engineering, service, and manufactures for a full turnkey solution. LabSpace includes spaces for Agriculture Development and Animal Labs as well as Laboratory support equipment including Exhaust Hoods, Snorkels, Autoclaves, Freezers and more.